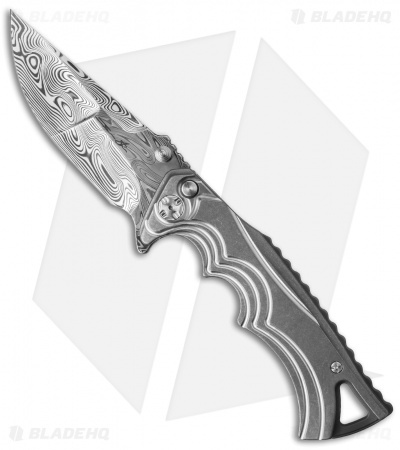 The Tighe Fighter knife is another brilliant custom design from Brian Tighe. 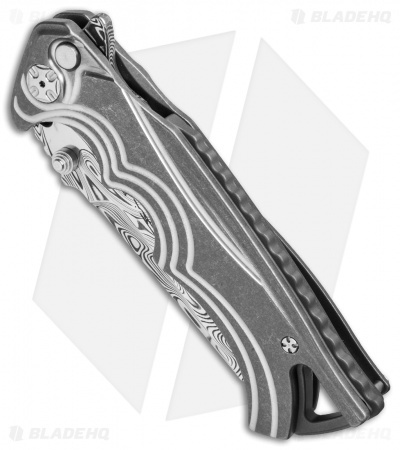 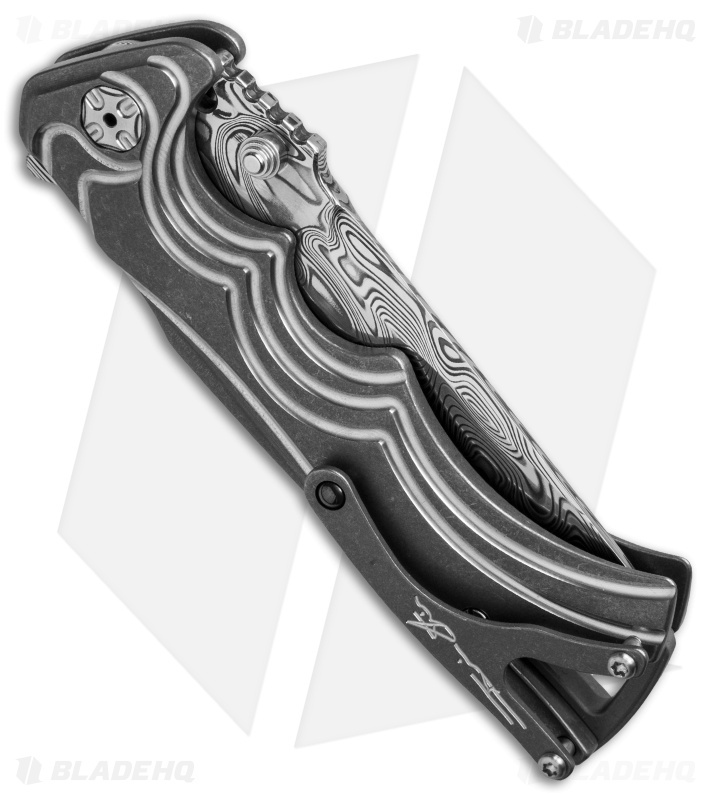 It features a machined, stepped titanium handle with a Y-shaped pocket clip and back spacer. The handle is two-tone finished with tumbled flats and satin grooves. The blade is compound ground Damasteel and looks fantastic. Direct from the maker.